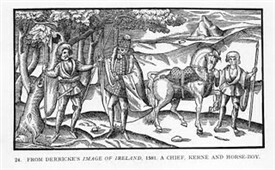 This 1570 Derrick image shows a chieftain wearing a decorated leather jacket and hat, hose, square-toes shoes and a mantle. The kern (ceithearnach) wears a woollen jacket with a pleated skirt over a léine with full sleeves. He also wears hose and shoes. The horse boy wears linen or wool léine with full sleeves and roll collar but no hose or shoes. 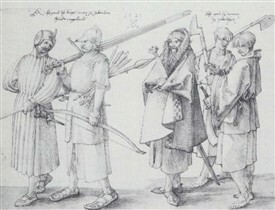 A drawing by Albrecht Dürer in 1521 shows four men: the one on the left wears a thick, padded acton (Gaelic: cótun), worn in western Europe in the 13th-15th centuries, and still worn in Scotland and Ireland in the 16th century. 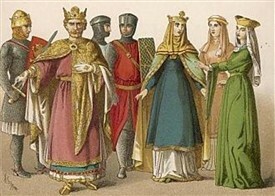 The second from the left wears chain mail which has given way to plate armour in much of Europe. The man in the middle wears a mantle with a shaggy lining. The two younger men on the right wear jackets with wide sleeves. All men wear léinte (the linen shirts). Ainsworth, Barrett, Bourke, Bowman, Breathnach (Walsh), Carney/Kearney, Cawley, Chambers, Coleman, Costello, Coyle, Dean, Devilly, Derrig, Devir, Diamond, Donnelly, Flynn, Garvin, Gildea, Gillard, Gilmartin, Grealish, Healy, Heneghan, Horan, Jennings, Jordan, Lardner, Lavelle, Lawless, Loftus, Lydon, Lynott, Macken, Maughan, Morley/O'Muraile, Mortimer, Moyles, Moylette, McDonnell, McEvilly, McGing, McLoughlin, McManus, McNally/Nally, McPhilbin, McTighe, Nolan, Ormsby, O'Boyle, O'Cleary, O'Donnell, O'Dowd, Padden, Price, Ruttledge, Sammon, Staunton, Sullivan, Thornton, Tierney, Waldron. Its Lissativa Co. Sligo, that's where my 3x Grt Grandparents Lewis Neale and children were born. Lissativa is a block long and they all attended and were buried in the old Ballinrobe cemetery of Hollymount Church. My 2x great grandparents George Evans and Susan Neale were married had children baptize, married and buried. Their Daughter my Great-grandmother Mary Ann Evans in 1801 immigrated to Brooklyn NY USA to marry her beloved William O’Leary who was a Wig-maker out of Dublin and married in NY because of religious reason. She was a very proud Irish woman. Editor: Just to clarify, the Ballinrobe Church of Ireland, is located at the heart of Ballinrobe Town & has its own graveyard attached. The Hollymount Church of Ireland, in Hollymount village, is about 7 miles away from Ballinrobe. Thank you for your very interesting additions to this site; much appreciated. 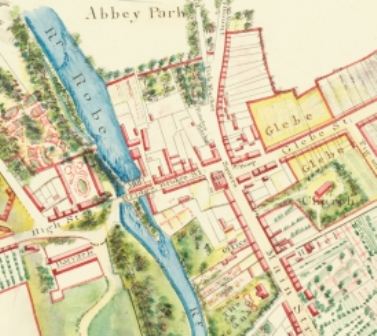 Wife: Susan Neil same area died in Main Street Ballinrobe proper and was a postmistress when her husband retired. My cousin married Adam Neale from Lissativa, Co.Sligo on edge of Ballinrobe, Co Mayo. Married: Anne Neale from the Cong.